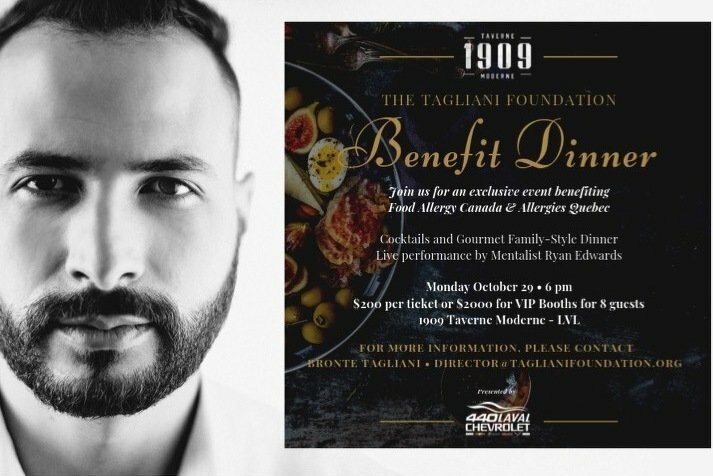 On October 29th, 2018 the Tagliani Foundation welcomes you to join in an exclusive dinner event at 1909 Taverne LVL benefiting Food Allergy Canada and Allergies QC. The evening will be hosted by Alex Tagliani with guest perfomance by Mentalist Ryan Edwards! Rub shoulders with some of Montreal's finest VIPs, celebritys and sporting stars who will join together for this great evening of fun and entertainment, you don't want to miss it!